One of the most remarkable but little-known stories of American history is the source of some great lessons in entrepreneurial leadership. It is the story one man's extraordinary and successful effort to remove the longest and most massive logjam in American history, called the Great Raft, or more precisely, the Red River Raft. 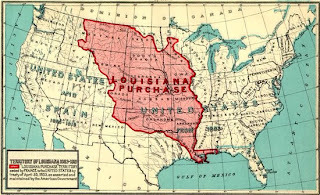 When Napoleon sold 828,00 square miles of French land to the United States in 1803, a transaction we call The Louisiana Purchase, U.S. President Thomas Jefferson determined that the United States had better explore this vast new land. Everyone knows that the President appointed Meriwether Lewis and William Clark to investigate the Missouri River, but very few realize that President Jefferson also organized two additional expeditions to explore the two other major rivers that dump into the Mississippi from the west - the Arkansas River and the Red River. The team assigned to explore the Red River was called The Freeman-Custis Expedition, named after Thomas Freeman, a surveyor, and Peter Custis, a medical student, appointed by President Jefferson to lead the scientific team. The expedition was delayed for a variety of reasons but finally set off in May of 1806 from the spot where the Red River flows into the Mississippi River, on the eastern boundary of what we now know as the state of Louisiana. One month into the upriver journey, not yet even halfway across modern Louisiana, the team reached a settlement called Natchitoches. At the time, the Red River north of Natchitoches was unexplored by anyone but the Caddo Indians - and with good reason as the Freeman-Custis Expedition would soon discover. Drift formations began at the mouth of the river as a result of a higher stage of water in the Mississippi, the waters of the lower Red River being at such times quiet or "backed up". Below Alexandria the Red River is naturally meandering and of slow current. Drift wood floating in such quiet water would accumulate into obstructions, such formations tending to "tighten" as the waters receded. Once established the raft continued to grow, the average yearly accumulations amounting to about one and a half miles of drift . . . As the obstruction grew and progressed up the river, it rotted away at its lower end and disintegrated, the river thus becoming clear again. The raft was thus like a great serpent, always crawling upstream and forcing the river into new lateral channels. By the time of the 1806 expedition, the Red River Raft had grown to well over 100 miles in length and was continuing to snake north as the southern end decayed and the northern end grew. It made passage to the northwest via the Red River a journey filled with incessant fatigue, toil, and danger, doubt and uncertainty. In other words, it was unnavigable. This is the reason why the Freeman-Custis Expedition, what Thomas Jefferson himself had called at the beginning "The Grand Excursion," became a grand failure. No new geographic information about the upper reaches of the Red River was obtained. The Red River mission was a political setback for President Jefferson. The materials that Freeman and Custis did collect were vastly overshadowed by the achievements of Lewis and Clark, who had returned in 1806. 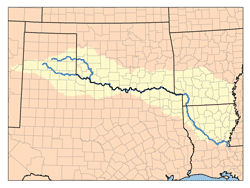 The Red River was one vast logjam, and there would be little exploration of northern Louisiana, southern Arkansas, southern Oklahoma and northern Texas because of the inability to navigate the Red River. Henry Miller Shreve ((October 21, 1785 – March 6, 1851) has often been called the "Master of the Mississippi," while others refer to him as the "Father of the Mississippi Steamboat." From an early age, he loved the river. Henry began his career on the river by river working on keelboats in the Ohio and Mississippi valley. In 1807, at the age of 22, Shreve made his first trip to St. Louis from the Ohio River valley. Within a few years, he was captaining his own vessel, transporting goods between New Orleans and St. Louis. Shreve is said to be the first captain of a steamship on the Mississippi, a ship he called "Washington." Though many had predicted the new steamship would fail, its shallow hull and deck-mounted engine allowed for easier navigation. Within a few years, Shreve had a fleet of steamships and revolutionized transportation along the Mississippi and rivers westward. But it was another invention of Shreve's that led to the breaking up of the Red River Raft. In 1827, Shreve patented the snagboat, a boat he used to clear fallen trees and other debris that often clogged the rivers. Just a year earlier, President John Quincy Adams had appointed Shreve as Superintendent of Western River Improvements, a position he held for fourteen years through both the Jackson and Van Buren administrations. Shreve was ordered in 1832 by Secretary of War Lewis Cass to clear the Great Red River Raft, now over 150 miles of dead wood on the Red River. The task, particularly in 1832, bordered on impossible. But through seven years of incredibly difficult work, extraordinary leadership, and dogged determination, Shreve and the United States Army Corp of Engineers successfully removed the Red River Raft. 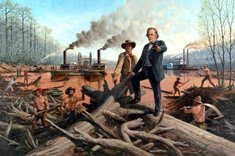 Shreve constantly battled inadequate funding from Washington, D.C. and the elements, but despite all obstacles, both political and natural, the massive Red River logjam was cleared. 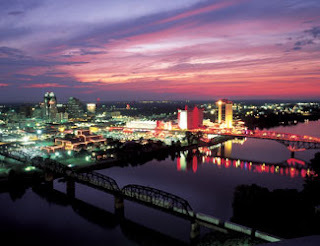 The area of the Red River where the Raft was most concentrated is now named in his honor - "Shreveport." The people who live in modern Shreveport, much less those who live elsewhere, know very little about Shreve but were it not for his leadership, the areas affected by the flow of the Red River would not be nearly as thriving and progressive as they are today. 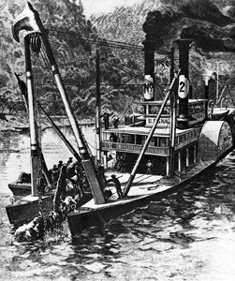 It was on April 11, 1833, that Captain Henry M. Shreve and the U.S. Army Engineers arrived at the lower end of the raft and began their work. Shreve brought four "snag boats" and one hundred fifty men to do the impossible. To understand the enormous effort required to clear the Red River Raft, one merely needs to read the contemporary descriptions of the work. Shreve and his men fought the heat, snakes, wild animals, quicksand on the river's shores, all the while fighting a constant battle for supplies from Washington, terrible shortness of funds, mechanical problems, Indian attacks, and a host of other impediments. But Shreve never quit. He never gave up. 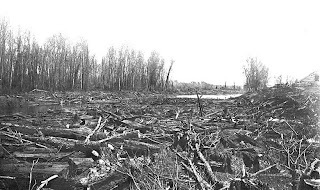 Eventually, the largest and oldest logjam in North America was cleared. (1). What some consider impossible is only seen as a challenge to leaders. (2). The people getting muddy doing the detail work often never see the end result. (3). It is the ability to see the big picture that gives perseverance through problems. (4). 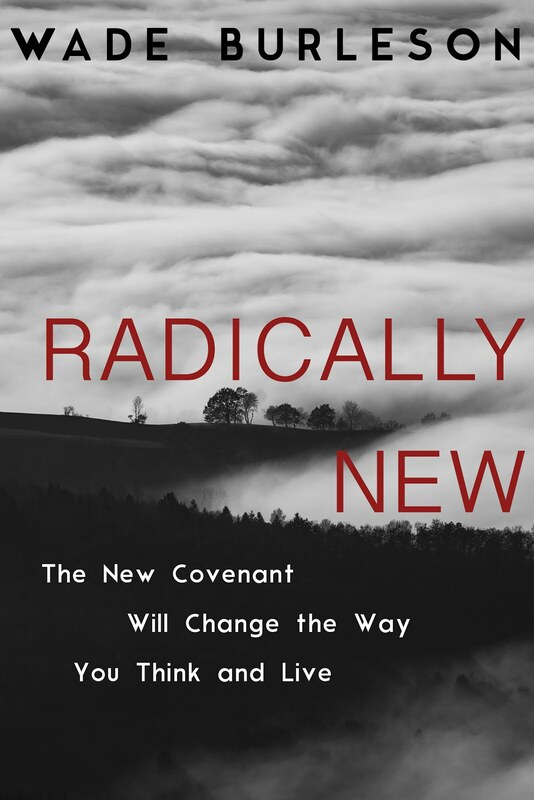 Logjams that prevent progress must be confronted, tackled, and intentionally removed. (5). Those who criticize the removal of impediments to progress are the ones history forgets. I believe there is a logjam in Forth Worth. It has been said that "Impossible" is merely a word which describes the difficulty in a particular task. I've always tried to live by that, including the first time I addressed the Convention in Greensboro. When I was 25, we were on a bear hunt in Alaska. It was 38 degrees and trying to get home late at night. With no light, you could not see your hand in front of your face. He was using a shotgun for a crutch with a hand on my shoulder. I was wearing hip boots with a rifle and shotgun strapped to my back. I stepped in a round hole of water that was about five foot in diameter. We had a sincere ‘son-father’ talk, and after ‘forever’ he got off. 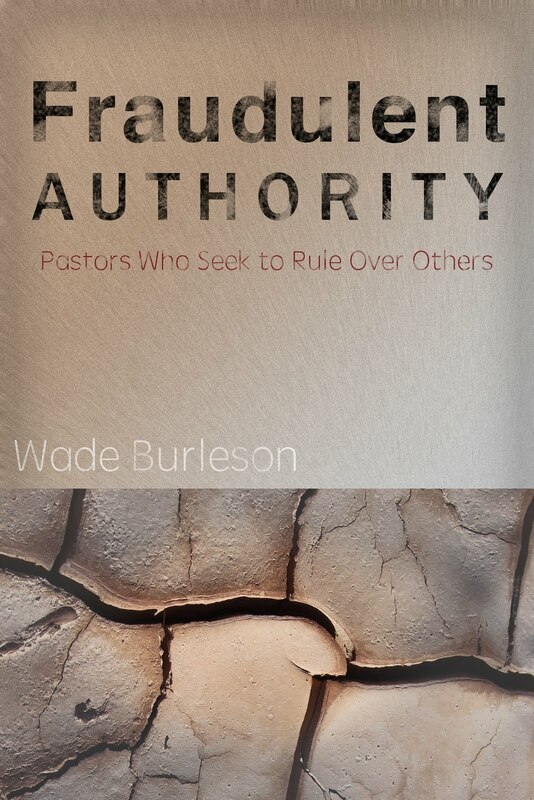 I agree, that was a great read over coffee. Wade, have you done a piece on George Washington Carver? I would enjoy a blog on him! Especially referencing his speech to Congress. A trip to Natchitoches (pronounced Nak-o-tish) should be on the bucket list for anyone who enjoys history. It is a great small, slow-paced tourist town with beautiful antebellum bed-n-breakfasts and great restaurants. South of town are numerous restored plantations which are very interesting. At one one of the plantations lived the famous folk artist Clementine Hunter whose paintings are very valuable. The movie "Steel Magnolias" was filmed in Natchitoches. There are several places where the logjam story is explained. It is a nice vacation spot that is not too far away. "(1). What some consider impossible is only seen as a challenge to leaders. (5). 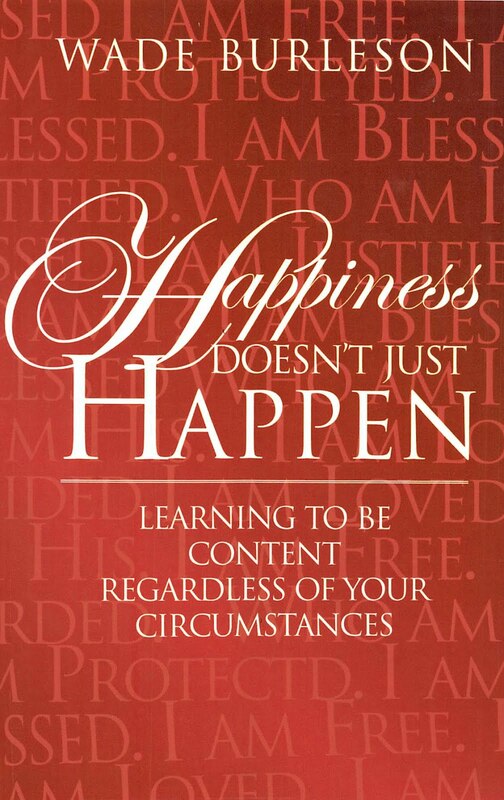 Those who criticize the removal of impediments to progress are the ones history forgets." Some thought spent on these reflectively has already helped my perspective on some current problems. The people that came before us left legacies of wisdom from their own experiences . . . often what not to do as much as what was beneficial. But the SPIRIT of people who struggled and succeeded offers us something even more in finding a positive way forward in the right direction. I wonder what will become of the $2,500,000 'retirement' home after the passing of Paige and Dorothy has happened. Will the building then serve the seminary students in some positive way(s), or maybe the children of the seminary students ? If it does, then building it will have had some purpose other than to add to the egos of just two 'important' people. But if the building were to become a facility reserved to the 'memory' of the Pattersons, then I would question the wisdom of such expense.